To best enjoy Sanam Teri Kasam, watch it while pretending to be a studious Indian teenage girl who has lots of ideas about love but little experience. Sanam Teri Kasam is essentially Twilight without the vampires, and I mean that as a compliment. Our doomed young lovers first spy each other in the hallway of their apartment building. Tattooed, shirtless Inder (Harshvardhan Rane) makes out with a woman in a skimpy dress. Bespectacled Saru (Mawra Hocane) timidly follows behind her outraged father, who berates the beefcake for his PDA. Stuff gets crazy real quick. Saru’s younger sister throws a fit because Dad won’t let her get married until Saru does, but no one will marry Saru because she looks like a “frumpy aunty.” Saru goes to Inder for help, but there’s a mix up and he gets injured, and her dad catches her sitting on Inder’s bed in a compromising position. In this position, Saru should have gone with a better opening line than, “Dad, you were supposed to return tomorrow.” Something like, “I’m helping him change his bandage. Chill.” The primary cause of problems in Sanam Teri Kasam is characters’ reluctance to offer perfectly reasonable explanations for misunderstandings, and this case is no different. Dad declares Saru dead and holds a funeral for her. Saru’s expulsion from the family ignites Inder the ex-con’s tender side. He goes out of his way to look after Saru, falling in love even as he helps her search for a suitable groom that will get her back in her father’s good graces. It also triggers the greatest makeover montage of all time. Inder introduces Saru to Mustakeen Bhai, The Makeover King, played by…Vijay Raaz in a lace shirt?! Vijay and his assistants sing and dance to the song “Ek Number,” transforming Saru from nerd to bombshell. The scene is bizarre and magical and worth the price of admission. All of the song numbers in Sanam Teri Kasam are odd in a good way. When Saru accidentally gets high and dances around the farmer’s market, everyone ignores her and continues shopping — a more realistic approach than the typical Bollywood treatment where bystanders join in, somehow knowing all the lyrics and choreography in advance. When Inder confesses his love in the title song, stage lights suddenly illuminate the lovers’ faces, an effect that is both hilarious and moving. Teenage me would have loved it. Despite being insanely dramatic and occasionally hysterical, everything in Sanam Teri Kasam is done with complete sincerity, and that’s why it works. When teenage girls react to even minor problems with the phrase, “My parents are going to kill me,” it’s because they believe it, rational or not. Sanam Teri Kasam is made for those girls, and for those of us who remember what it was like to be one of those girls. This entry was posted in Reviews and tagged 2016, 3 Stars, Bollywood, Ek Number, Harshvardhan Rane, Hindi, Indian, Mawra Hocane, Movie Review, Sanam Teri Kasam, Vijay Raaz on February 5, 2016 by Kathy. For an example of the problem with Bollywood nepotism, look no further than Second Hand Husband. 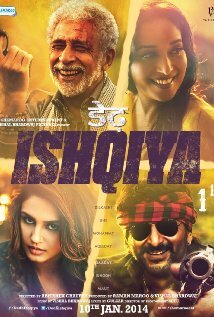 In her big screen debut, Govinda’s daughter Tina Ahuja manages to be the worst part of a truly terrible movie. Ahuja isn’t remotely prepared for a major role in a film, let alone to be a romantic lead. Her primary problem is that she squints her eyes when she talks, as though the mental strain of emoting while delivering her lines requires special concentration. After she eventually reads the details of the settlement (let’s hope Rajbir isn’t actually paying for her services), Gurpreet finds a loophole that will get Rajbir out of his payments and allow the two of them to marry. Rajbir’s alimony stops when Neha remarries, so the two set about trying to find his ex-wife a new husband. Well, that’s what the movie is about for all of ten minutes. The story shifts completely to the antics of Rajbir’s drunk-driving, philandering boss, Ajit, whom we are supposed to find adorable because he’s played by Dharmendra. There are subplots about Ajit’s wife and her own divorce proceedings, her brother’s family, Gurpreet’s family, a thief turned tea vendor, and a lovelorn cop played by Vijay Raaz (who gives a more sympathetic performance than this movie deserves). Then again, it could just be that Kang doesn’t know how to tell a story. Characters are introduced without explanation, taking over the narrative even though we don’t know or care who they are. Transitions between scenes fail to give a sense of time or place. Apart from Raaz, the film’s performances are annoying at best, phoned in at worst. Grewal — also in his Bollywood debut — does nothing to distinguish himself. Dharmendra lacks charm. Basra is a shrill stereotype, though Kang deserves much of the blame for creating such lazy, outmoded characters. 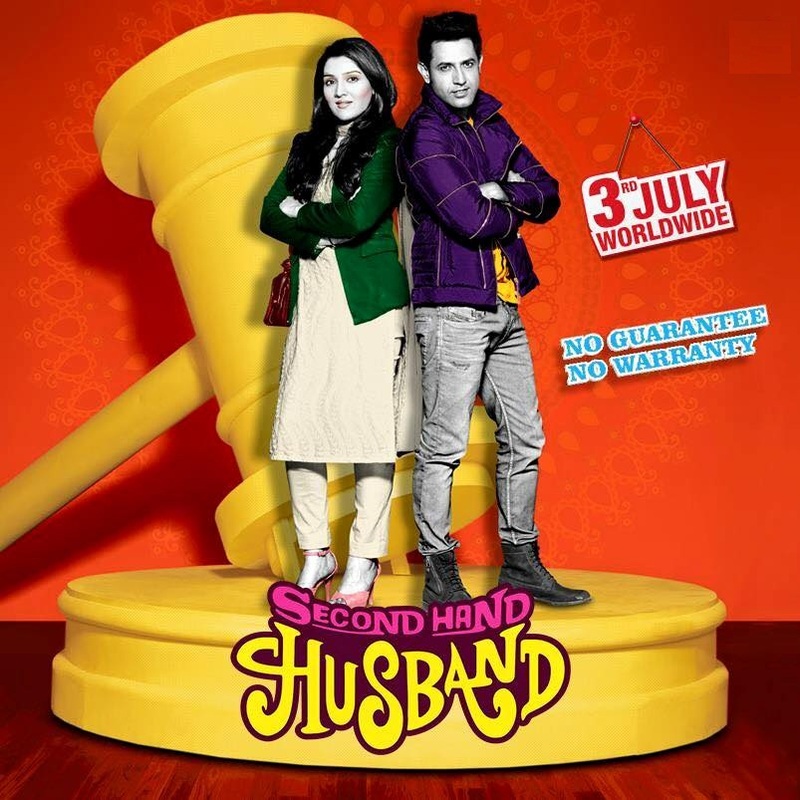 Second Hand Husband takes a solid, high-concept premise and ruins it in the name of launching two acting careers unlikely to take off. Skip it. This entry was posted in Reviews and tagged 0.5 Stars, 2015, Bollywood, Dharmendra, Geeta Basra, Gippy Grewal, Govinda, Hindi, Indian, Movie Review, Second Hand Husband, Smeep Kang, Tina Ahuja, Vijay Raaz on July 3, 2015 by Kathy. Department is a comedy, right? It must be, because it made me laugh out loud. Director Ram Gopal Varma’s latest political thriller focuses on a special branch of the police force designed to stop organized crime. The special department is cleverly named: “Department.” Whenever a character in the movie says the word “department,” it’s accompanied by a musical fanfare. It’s a lot like when someone said the “magic word” on Pee-Wee’s Playhouse, and all of the characters had to start screaming. 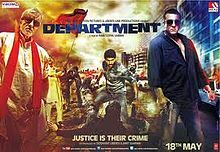 The Department is headed by Mahadev (Sanjay Dutt) and rising star Shiv (Rana Daggubati). Both prefer to shoot first and ask questions later, even if it means firing at a bad guy while standing in the middle of a group of children playing catch. The main objective of the Department is ostensibly to stop a turf war between rival gangsters Gauri and Sawatya (Vijay Raaz). When gangster-turned-politician Sarjay (Amitabh Bachchan) gets involved, alliances become less clear and the Department falls apart. Since the plot is just a disorganized excuse for innumerable bloody shootouts and embarrassing slow-mo chase scenes — look at Shiv leap over that small bag of rice! — I’ll ignore it for now. Department‘s biggest problems are visual. Varma is clearly in love with camera technique. If there is a table with a glass top in his vicinity, you can be sure that he will position a camera under it to shoot a scene. Department was shot using a number of cameras small enough to be mounted to almost any object, which Varma hoped would create “a completely new viewer experience.” It’s a technique Sam Raimi used back in the Evil Dead movies in the 1980s, to better effect. In order to get a first-person shot of the actors in Department, cameras are mounted on everything from a newspaper to a coffee cup. Ever wonder what driving a car is like from the perspective of the steering wheel? Watch Department and wonder no more. Rapid cuts and awkward closeups make the action hard to follow, while some editorial choices are downright mystifying. Take, for example, the following sequence of shots. A man stands on the beach drinking from a coconut. Closeup on another man’s dreadlocks. Upside-down closeup on a messenger bag. The camera rights itself as a hand draws a gun from the bag and fires a shot at the man drinking from the coconut. About two hours into the screening that I attended, the picture flipped upside down. Only when the audio started running backwards — complete with upside down, backwards subtitles at the top of the screen — did I realize that this was a projection problem and not just another strange directorial choice. Getting back to the plot, it contains a number of attempts at sexiness that nauseate rather than titillate. First, the item song “Dan Dan Cheeni” features an unintentionally hilarious performance by Nathalia Kaur, who gyrates as seductively as someone having a seizure. Then there are Sawatya’s amorous underlings, DK (Abhimanyu Singh) and Nasir (Madhu Shalini), who exist entirely to try to heat things up on screen. They fail miserably. While soaking in a bathtub, Nasir strokes DK’s thick mat of wet chest hair with her un-pedicured feet as he blows cigarette smoke into her mouth. Gross! If you’re in the mood for a laugh — punctuated by occasional dry heaves –see Department. It’s ridiculous. This entry was posted in Reviews and tagged 1 Star, 2012, Abhimanyu Singh, Amitabh Bachchan, Bollywood, Dan Dan Cheeni, Department, Evil Dead, Hindi, Indian, Madhu Shalini, Movie Review, Nathalia Kaur, Pee-Wee's Playhouse, Ram Gopal Varma, Rana Daggubati, RGV, Sam Raimi, Sanjay Dutt, Vijay Raaz on May 18, 2012 by Kathy.